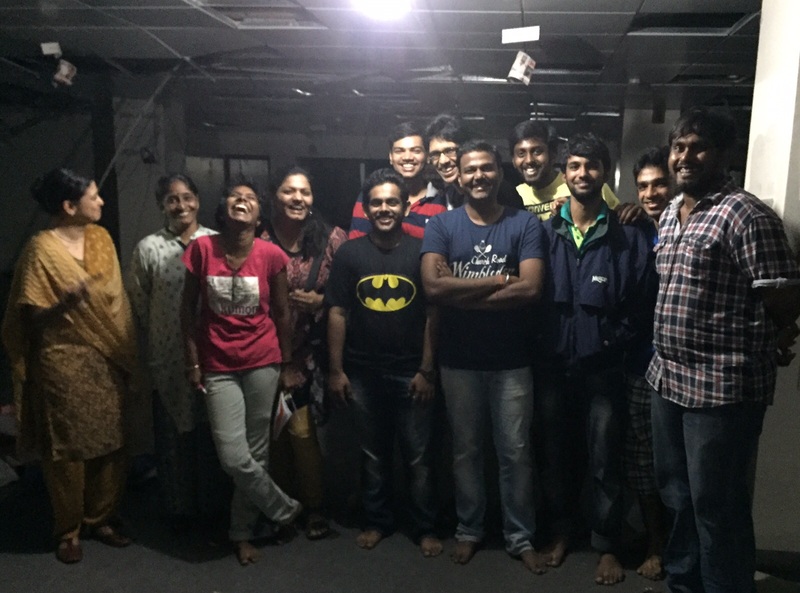 Cheerful Bhumi Volunteers at the Bhumi Relief centre after whole day of work on Dec 09. Thank You! > The gate is a nondescript entrance right in the middle of the Big bus stand. On the left if you are going from nandanam to guindy. > If possible they should bring a pair of gloves. Kitchen gloves cost Rs 60.